In November I was in the UK delivering talks on the Singapore approach to teaching secondary mathematics. While I’ve been delighted to share some of the details of our system during these talks, the real pleasure for me has been to interact with UK teachers and to learn how things are done over here. From the many questions I was asked at these talks, one theme came over particularly clearly: teachers in the UK don’t feel they have enough time to plan and to collaborate, and they imagined that in Singapore teachers have many less contact hours and much more planning time? The answer to that is: not really! The Singapore school timetable is divided into 40 periods per week, and our teachers will typically be in the classroom for 30-35 of them. I understand this is a similar amount of contact time to a UK teacher. To make up for a tight timetable, Singapore teachers have learnt to use their planning time efficiently and, above all, to collaborate. I thought I’d use this blog post to describe what form that collaboration takes. Things that work in one country don’t always work in another, so if you find anything useful here, great. But if you find things here that seem unsuited to your school, that’s ok too! To provide structure for teachers’ collaborative work at the school level, in 2010 the Ministry of Education unveiled the Professional Learning Communities (PLCs) framework (TDD, 2010). This framework encourages the formation of Learning Teams in schools. These teams have the choice of adopting a range of collaborative methods/tools, such as Learning circles, Action research and Lesson study. The aim is to improve instructional practice through the development of subject content knowledge and pedagogy. 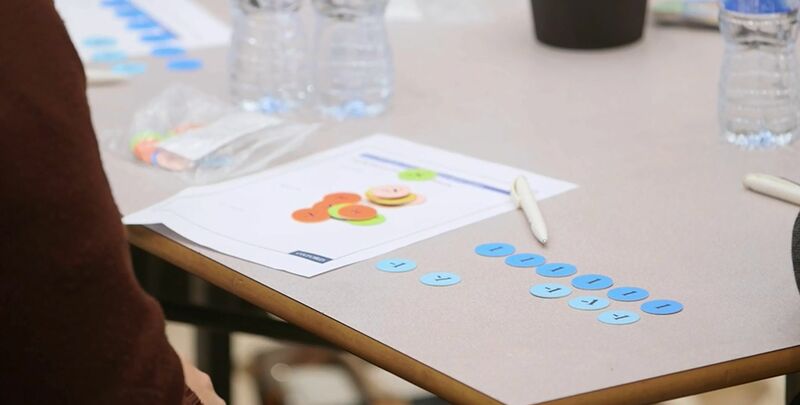 The Maths PLC in any given school runs throughout the year and provides the overarching framework for how the department collaborates and shares best practice. They provide the umbrella for all the activities I describe below. This was introduced in 2005 and is a requirement for every subject department to timetable a regular slot during teaching hours, once a week or once a fortnight, when all members of the department are free. Our teachers use this time to look into issues that are surfacing in their lessons. For example: maybe teaching a certain algebra topic in a certain way is not proving productive, so the maths department can use the white space time to delve into research papers, or to invite an academic from NIE (that’s the National Institute of Education, where I work) to come in and advise. We’re always happy to help. Alternatively, they might call on advice from a “master teacher” or “principal master teacher” from outside their department. These are advanced skills teachers who have focussed their career on teaching excellence, and who form a very powerful resource within the Singaporean system. The main point is: our maths teachers are not proud. If they feel they’ve encountered a problem, they turn for help and know that they won’t be judged. Continuing that point about our maths teachers’ readiness to seek help, it is worth mentioning lesson observation. Teachers will often invite their peers in to observe them. This might be because they’re trying out an innovation and want their peers to critique them; or it’s because they’ve encountered a difficulty and want their colleagues’ assistance in unblocking it. In addition, the Head of Department will periodically observe his teachers’ lessons, which is part-and-parcel of his job as the HoD. This is a simple but surprisingly effective device. Maths teachers in most Singaporean schools have a shared digital repository, where they can freely access each other’s plans and resources. The repository is unique to each school. There are numerous advantages from this kind of sharing: best practice within the school is easily spread across the whole school; ‘relief teachers’ (‘supply teachers’ in UK terminology) can use it to help provide a consistent approach; and it helps to support newly qualified teachers. From a resource point of view, the chosen textbook series (chosen from a list of Ministry-approved textbooks) is central to any school’s teaching and to its scheme of work. By using the same textbooks within a school, this helps maintain consistency in the students’ learning experiences. Above all, the attitude of Singapore teachers is to make the best possible use of the best possible resources. Teaching is the real challenge, and that’s where we want to spend our time and energy – and not on making resources. So if great resources are already available from colleagues or from publishers, we use them. Every year three weeks are devoted to planning: two weeks during the school holidays in December and one week during the holidays in June. This, I suspect, is the biggest difference to the UK. Singaporean teachers come into school during these planning weeks to work and plan collaboratively with their colleagues to prepare for the semester ahead. They will work on their lessons, their resources and their schemes of work. For example, Year 7 teachers will sit round a table and work together to examine the topics they’re teaching, and to sequence the development of the topics. This helps ensure best practice is being shared and that students are getting a consistent, even quality to their instruction. All students within a school will sit the same ‘semestral test’ at the end of term, so we strive to ensure a level playing field for them. One thing I’ve learnt during my visit to the UK is the incredible dedication of teachers to their craft. There seems to be a 100% commitment to doing whatever needs to be done to support their students. I’m confident UK teachers spend just as much time as Singaporean ones planning, probably even more – but I would guess a proportion of that time is spent during evenings and weekends when teachers are working alone. What we try to achieve in the Singapore system is to channel our time and energy through collaboration. So far this has been working out well. To repeat what I wrote at the start of this post, I wouldn’t want the specifics of our system to be dropped onto any other country. But I do hope the general principles around collaboration and sharing strike a chord with you. 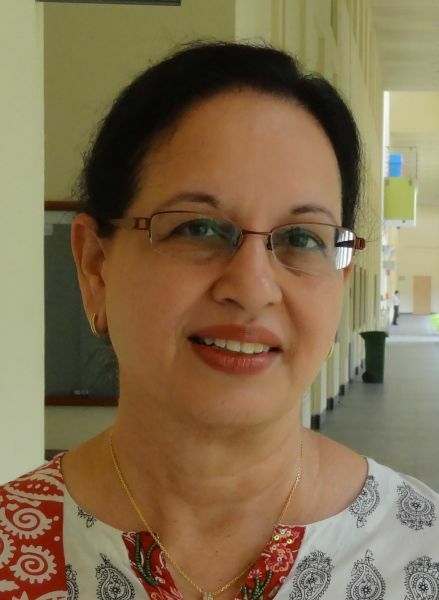 Berinderjeet Kaur is Professor of Mathematics Education at the National Institute of Education in Singapore. She is the founding chairperson of the Singaporean Mathematics Teachers’ Conference series and a member of the Mathematics Expert Group to PISA 2015. She is passionate about the development of mathematics teachers. Professor Kaur has been a key consultant and reviewer for the UK adaptation of Discovering Mathematics and its Professional Development programme. The concept of having a “white space” time is path-breaking. A lot of times, teachers carry on with lessons without understanding how well their students are grasping all the information being shared with them. Taking some time off regularly to understand how teaching methods can be worked upon such that children are able to understand concepts better sounds like an amazing idea that must be adopted by all educational institutes.